Sainsbury Centre for the Visual Arts (SCVA) at UEA in Norwich has appointed Ian Ritchie to oversee the last phase of the refurbishment. Ian was the project architect while working at Foster Associates until 1976. 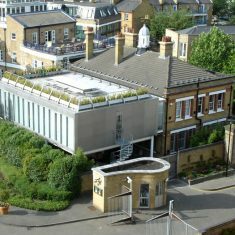 The centre opened in 1978, since when two further additions have been made to the building.